With Darren Garmey’s Holyhead Hotspur filling the basement position and opponents Conwy Borough without a win in eight matches it set the tone for a rousing encounter with the two teams in urgent need of points which saw the hosts feeling it was two points lost and Conwy a deserved point. Hotspur in particular were frustrated with several opportunities spurned while Borough were always threatening on the break. Both keepers excelled with young Dan Williams for Hotspur and Conwy’s Leighton Jones producing some superb moments. Garmey’s men should have been ahead at the break in a high tempo well contested game but just a minute after the break predator Mel Mc Ginness put Hotspur in front which was cancelled out by Connor Haywood just before the hour. With 15 minutes left on the clock yet more indiscipline saw Hotspur’s Dean Garmey see red which handed the initiative to the visitors in a game that was looking to go either way. Hotspur’s new signing Sam Ashworth ex Wrexham, TNS and Bangor City was handed his debut off the bench and was twice denied a match winner. Hotspur need to win this type of match if they want to avoid relegation. Hotspur travel to Gresford this coming Saturday 29th with 1 2pm kick off. The hosts should have gone ahead as early as the second minute when John Littlemore broke free only for Keighan Jones to block the shot which fell to Mel Mc Ginniss whose shot was cleared off the line. 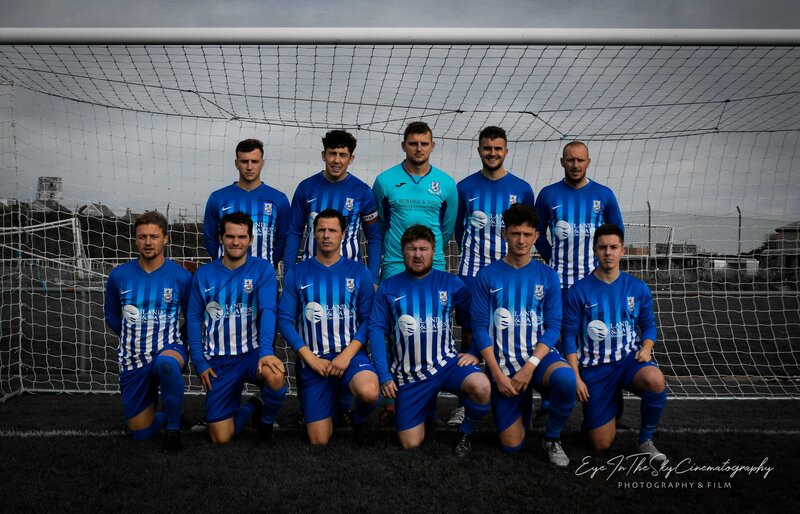 The game was being played at a fast pace and on 14 minutes an Alex Jones header flashed across the goal mouth and just after a cross from Dean Garmey was headed on to the base of the post by Tomos Clarke. On 23 a corner on the right by Kenleigh Owen was met by Alex Jones whose goal bound header was brilliantly saved low down to his right by Jones. Half Time 0 – 0. A minute after the break keeper Dan Williams showed great awareness to come out quickly to deny a dangerous situation and quickly passed the ball for a quick forward movement which eventually arrived at the feet of Mel Mc Ginniss who burst through from the half way line and fired low past the advancing Jones. Williams made another important stop before on 58 Conwy drew level. Connor Harwood whose elusive play on the left was causing problems broke through the defence far too easily and flashed his shot past Williams who had no chance of saving it. Both sides going for the win and on 73 Jones made a superb save from Sam Ashworth and the ball came to Mel Mc Ginniss who found the goal net but he was flagged offside. At the other end a great Dan Williams save at full length denied Conwy a second goal. Again Ashworth well positioned had a second shot blocked on the line. End to end and Dan Williams again saved the hosts. Darren Garmey may well be pleased with a more upbeat performance and the effort shown but will be disappointed with the result and the loss of important points especially as we have reached the half way stage on the season and our basement position, let’s hope that 2019 is kinder to us.